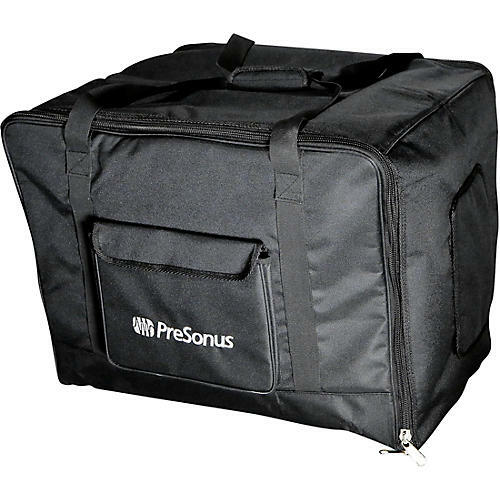 The CDL12-Tote is a protective carrying bag designed specifically for the PreSonus CDL12 12” line array speaker. This rugged, padded bag guards your gear against scratches and dings. When you’re transporting your gear to gigs, you shouldn’t have to worry about it being damaged. Professional performers rely on their gear to make a living, so they need to make sure it stays in peak condition. The CDL12-Tote protects your CDL12 speaker from harm, but it also keeps it looking new, gig after gig. Clean-looking gear equals a more professional appearance, and first impressions are vital when it comes to referrals and repeat customers.